The CableFree range of LTE CPE devices includes indoor, MiFi and outdoor devices to allow operators to construct LTE networks to meet a wide range of user and application requirements. Outdoor CPEs are ideal to connect fixed locations, residential and business customers with “xDSL” replacement for rural broadband and also resilience for existing copper and fibre leased lines. 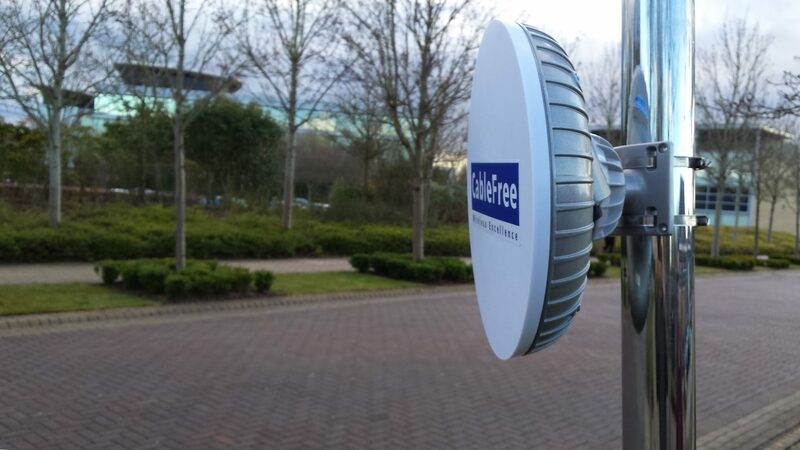 CableFree Mobile Hotspots with 4G LTE (MiFi) including remote Cloud Management are feature-rich and can be deployed outdoors or indoors. Customisable versions for in-vehicle use for Mass Transit, Police, Law Enforcement applications. CableFree have launched MiFi CPEs for LTE bands 42 (3.5GHz) and 43 (3.6GHz) which includes the 3650MHz (3.65GHz) band popular in USA / North America. With advanced feature set, these MiFi devices have internal battery, SIM card, and web-based GUI for ease of configuration. CableFree handheld Mobile WiFi LTE CPE devices are ideal for mobile applications for personal and business use in the home and on the move. These devices can be sent direct to the customer with no installation required. When powered up with appropriate SIM card inserted, the device creates a fast broadband connection enabling connection via WiFi to users in the area. Simple onscreen display gives user status. Inbuilt battery allows up to 10 hours usage between charges. Charging is over the USB connector.